As the history of this classic explore has been covered many times before I will just give a brief history. 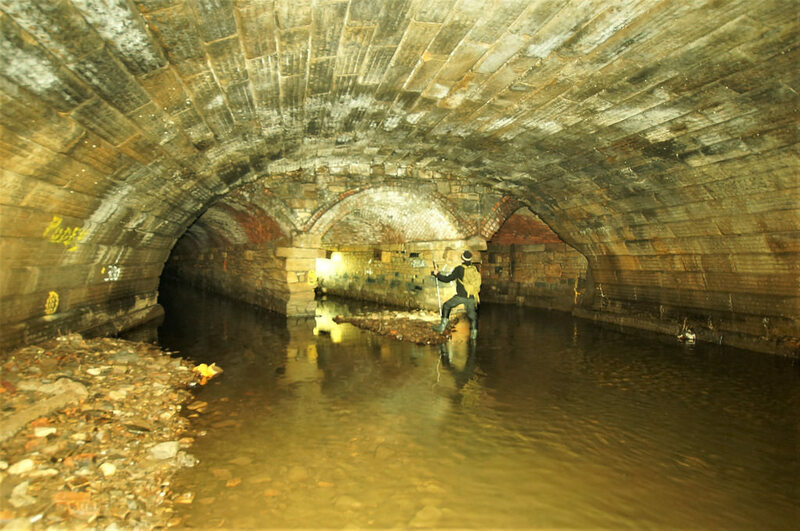 In the 1800's this area of Sheffield was prone to flooding making the land unusable for industry. 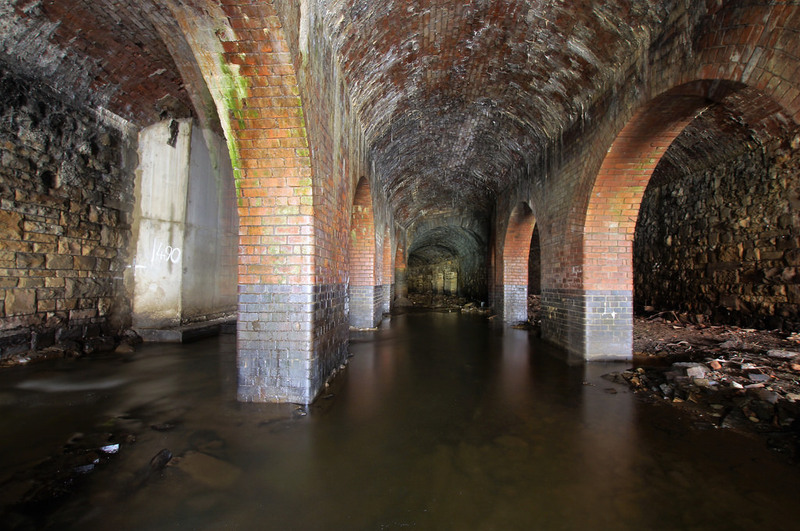 Around 1860 The Midland Railway Company bought the rights to the Rivers Sheaf and Porter and enclosed them in culverts allowing the Midland Railway Station to be built above them in 1870. 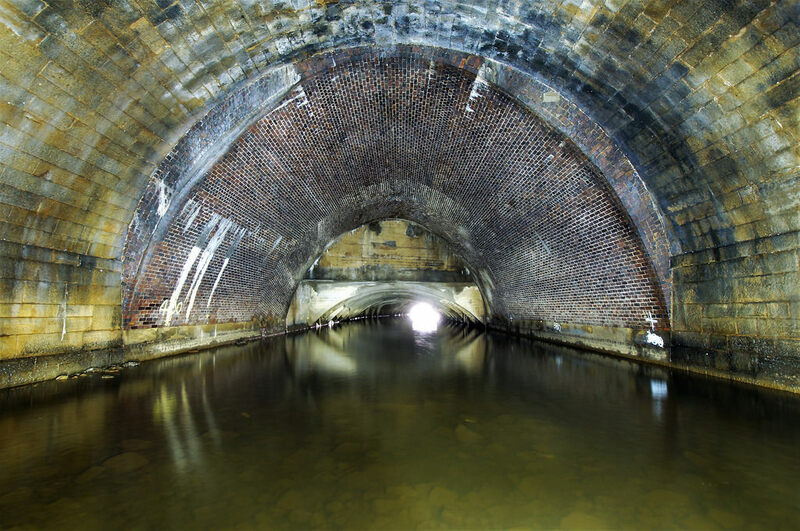 The culverts were extended all the way to the River Don and thus the mighty Megatron was constructed, allowing the industry of Sheffield to thrive with the risk of flooding removed. 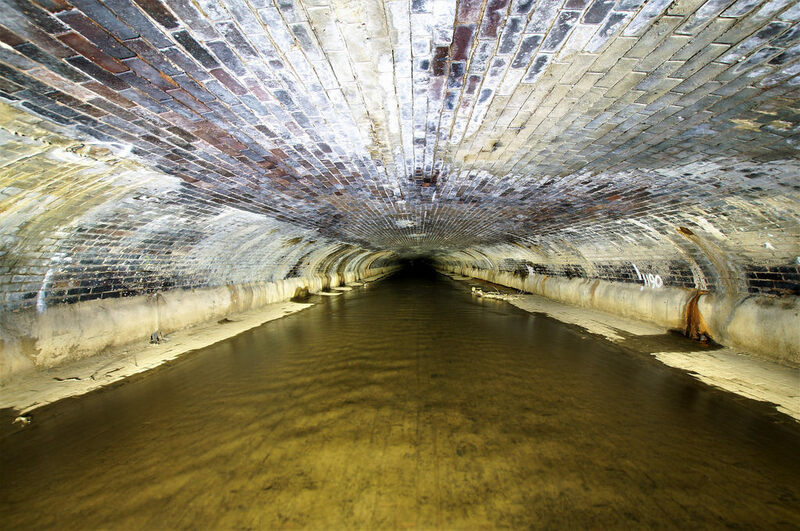 Having recently explored and photographed the River Porter culverts all the way to the railway station I thought it was now time to move on to the Sheaf and the Megatron. 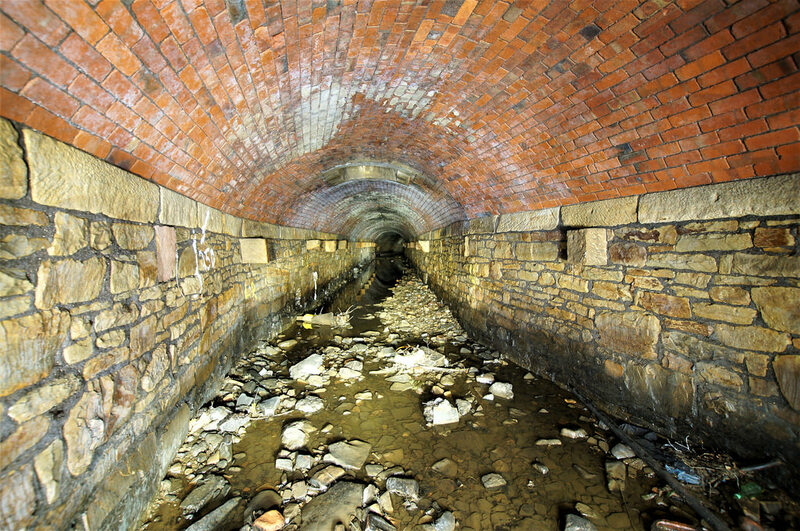 Entering the system at the Midland Railway Station via the River Porter I headed up stream to the point were the Sheaf first enters the culvert there were some nice brick and stone culverts here not always visited as a lot of people head directly to the Megatron. At this point it sounded like a giant was hammering on the roof above as trains were passing above. 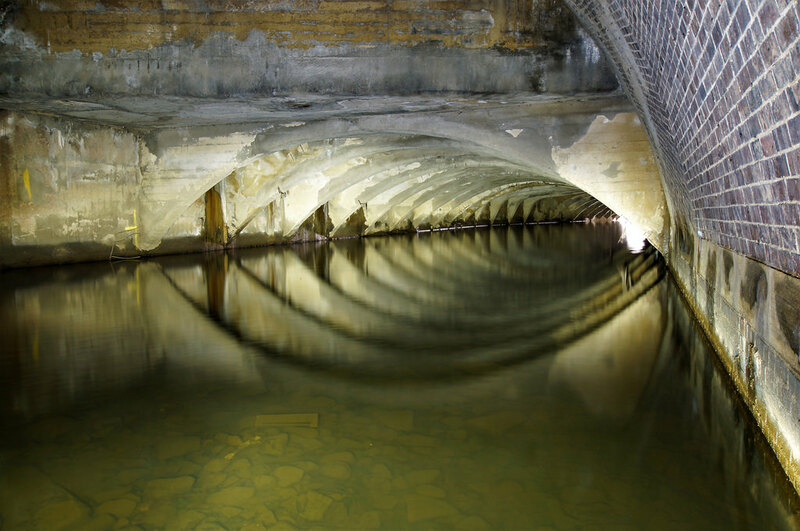 At this point the river entered two culverts a single on the left and a double on the right, I followed the larger double with about 6 inch of water in. It entered a box section then split into three culverts and set the formation for majority of the explore all the way to the Megatron. 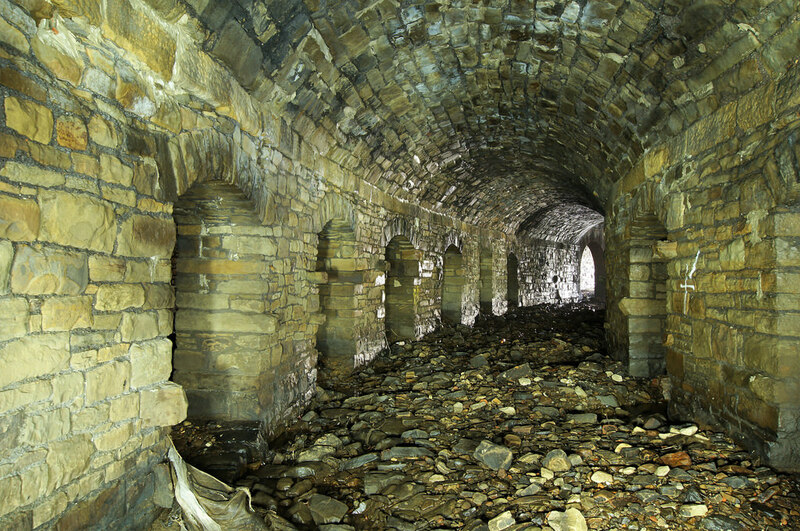 After passing the familiar spot where the Porter entered there were three fantastic small waterfalls all requiring photographing, then some very old stonework, then a steel section again all needed photographing. By the time you have set up your camera, put all your settings on done your light painting, then tried again a bit longer, each photo can take 5 minutes, its going to be a long explore. 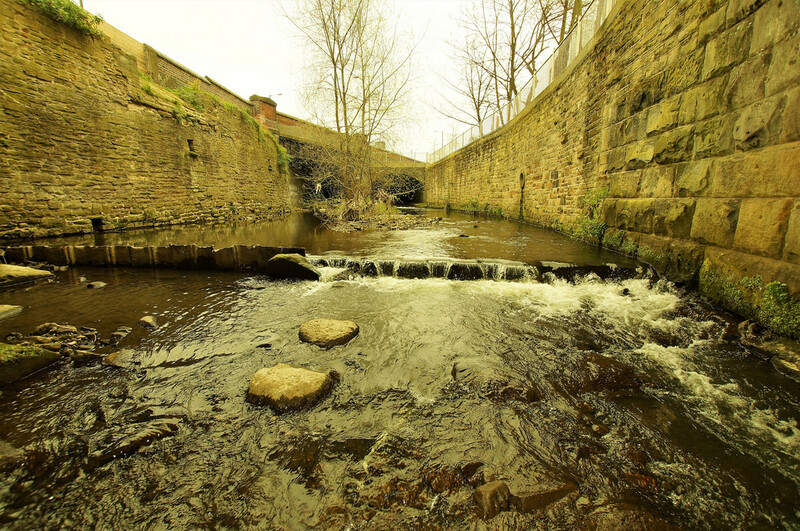 Eventually reached the open section, being a bit wary of small weirs having stepped over one on the river Porter into 5 foot of water I proceeded with caution, I kept to the right hand side but could see this area a problem if water levels were higher. 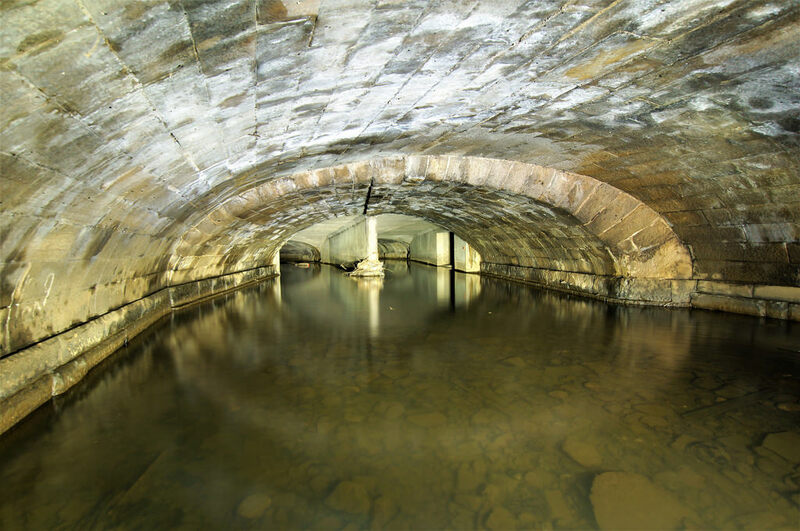 Massive brick pillars provided the entry to the next section heading under Ponds Forge swimming baths. 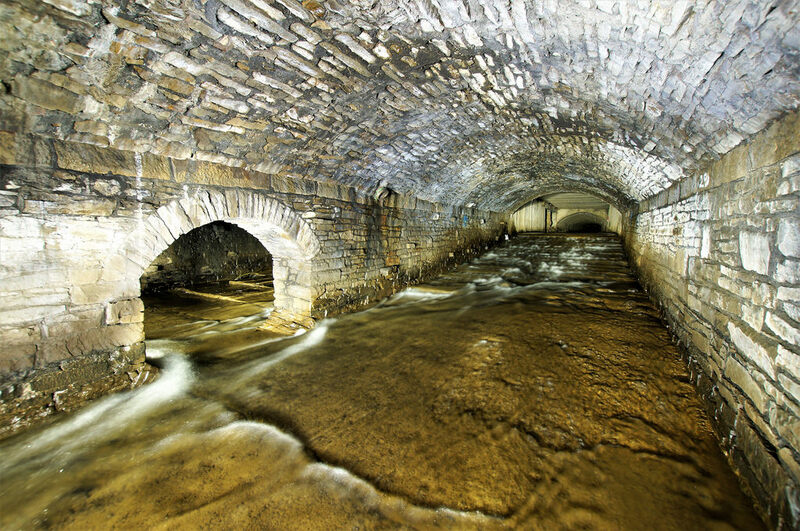 As the majority of the river was flowing in the left culvert I chose the middle one, I swapped about a bit for different photos then committed to central culvert as the joining arches were bricked up. 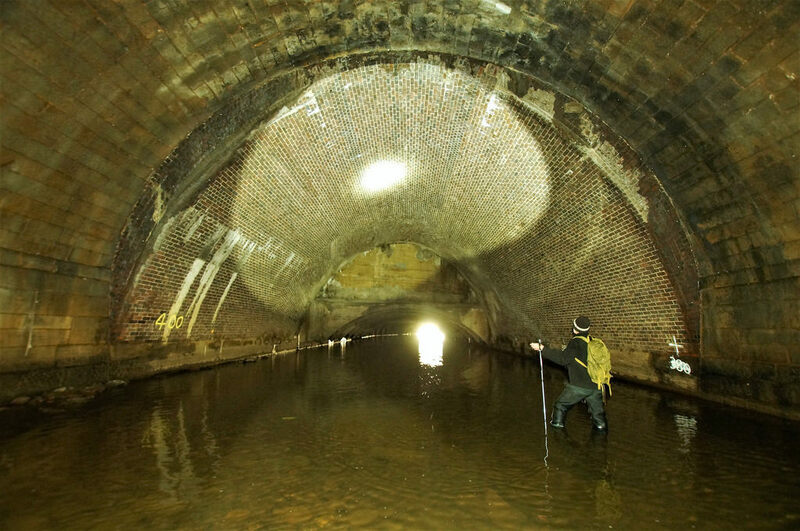 Some great arched brick roof in this section again all to be photographed. 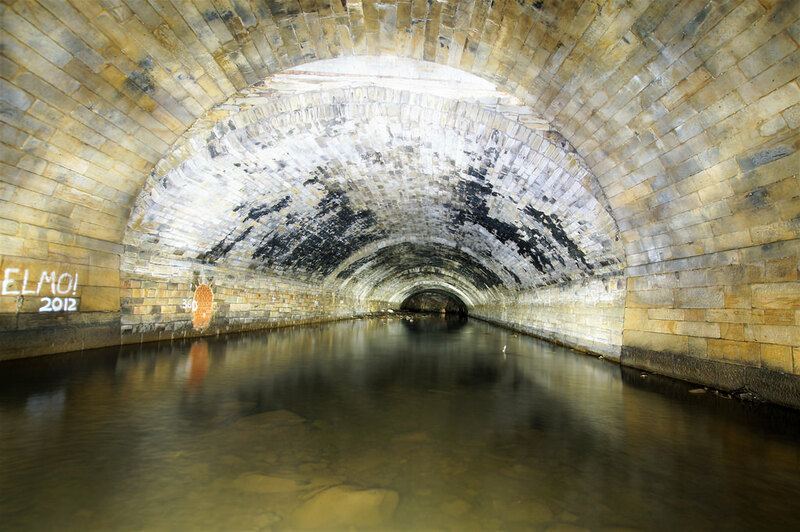 Finally came out of the central culvert into a massive 12 meter wide culvert made of stone blocks, a impressive feat of Victorian construction. In the distance I could see the light from the outlet into the Don and in between the massive domed brick arch of Megatron, going to be here for a few hours I guess. 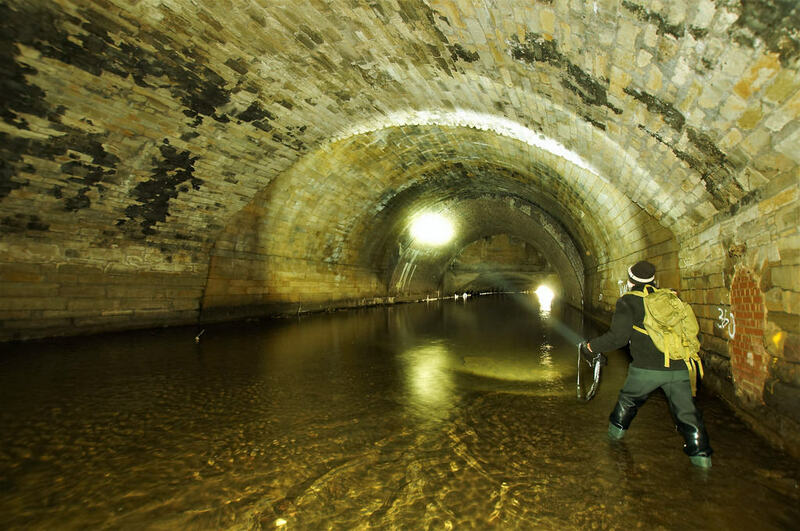 I walked as far as I could up to the parabolic roof section but the water was getting deeper, I was on my own and new my limits but I did wonder what was beyond the parabolic roof section. Some stunning shots there. Been looking forward to your Megatron report. Hi yes sometimes I might take the same photo 3 or 4 times until I think I ,ve got what I want, then you don,t know for sure until you put it on computer. Very well photographed and a great report overall. Looking forward to the next installment. 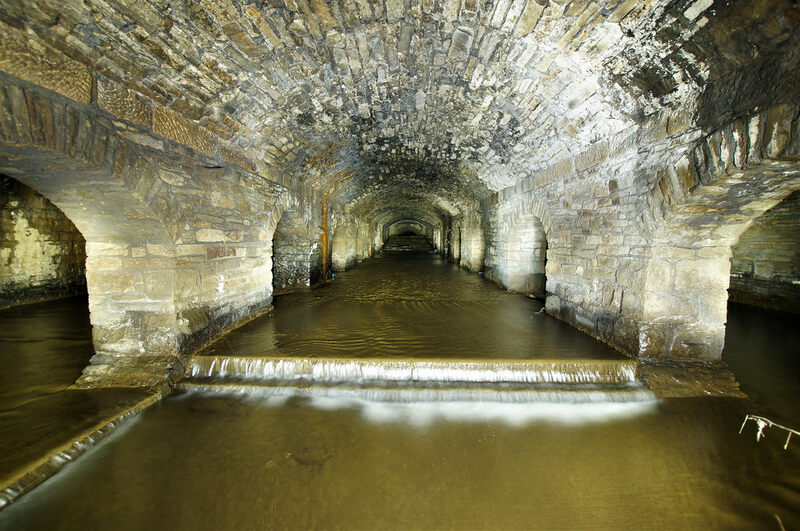 Fantastic photos, wish you could get some quality shots of Wrexham underground tunnels. Rumours keep on surfacing about a vast network, but hard to get definitive proof. 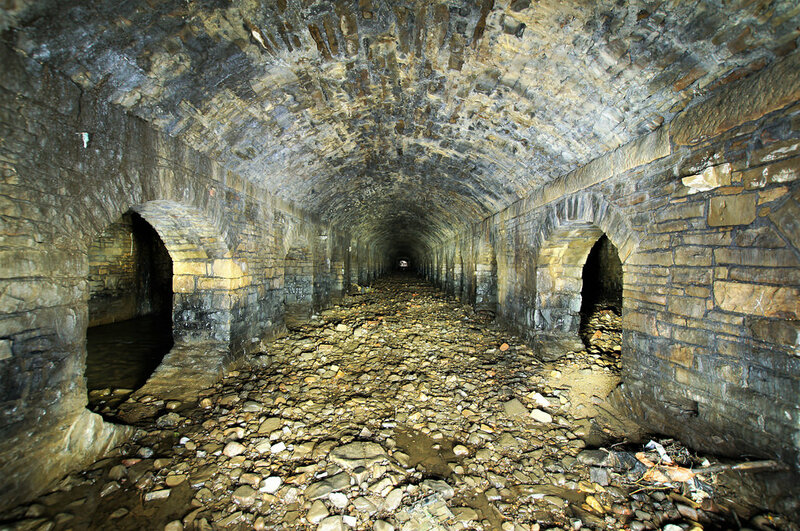 Area was heavily mines, so some could be mining tunnels. Absolutely lush. These photos are stunning! Hi and thanks for comments, there,s so much to look at and photograph down there, hoping to do further report next week on different part. There are so many photo opportunities down there, each 10-20 meters there is a different photograph, I nearly have to say right just concentrate on these certain areas otherwise I could be down there for hours, hope to have another follow up report on in next week or so. You proper nailed the photos in there!